Most people believe that with the self maintenance that mac computers comes with, there is no need to actually do a manual clean. 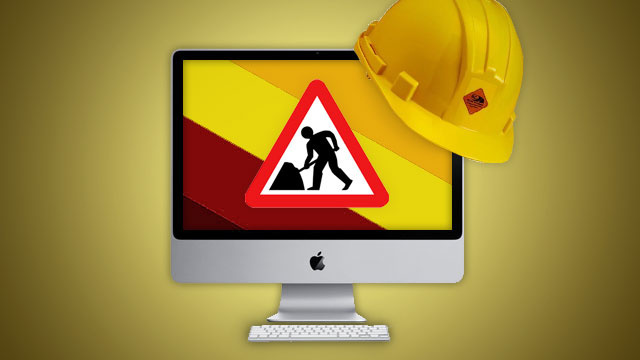 Cleaning software and virus protectors for macs are sometimes considered useless but there are a number of software programs that does in fact help with mac maintenance. OnyX for example is one of the most widely used mac cleaning software programs. Some of the features that you can utilize when using OnyX, are system checks, run scripts, and regular maintenance features. One of the biggest perk of using Ony is that it is free to use. How Can I use OnyX Mac Cleaner? OnyX has an easy to understand interface and is quite user friendly. Even a beginner will find it relatively easy to use and understand. Free software can sometimes give the impression that the user might not be able to utilize all the functions that are necessary to get the job done. This could never be further from the truth when it comes to using OnyX. OnyX is widely used not just because it cost nothing to have t downloaded but rather because it gets the job done through doing a thorough search and clean of your mac. Here are some key features that make OnyX the preferred software for mac maintenance. One of the main ways to ensure that your mac is always performing at its best is to keep it clean so that it can run smoothly. This means that reliable software like OnyX might be needed to keep up regular maintenance checks. With OnyX, you can run regular checks on your mac and allow it to monitor your system using the automatic monitoring option. Scans can be scheduled daily, weekly or monthly depending on what you think is best. You can prevent having to worrying about fixing problems that might occur on your mac by taking the precaution to have regular checks to prevent an underlying problem from getting worse. Even if your mac is performing at its optimum levels you can use onyX for regular. Using OnyX is easy as the methods and options are not complicated. With an easy to interface that has just about the right number of functions for you to optimize your macâ€™s performance, OnyX, s the best option for you. It is free and get the job done well. SMART Scan; Sort for Self Monitoring and Reporting Technology, the SMART Scan checks out macâ€™s hard disk to detect any problems that might be underlying. If anything of note turns up then you automatically get a report about it. This keeps you up to date on certain happenings that you would have otherwise missed. Multiple Options; once you open the OnyX interface, you will be presented with a number of different options. You can look carefully and decide which function you want it to perform. You can choose from options like; Verify, Maintenance or Clean. This gives a wide coverage of the general cleaning and maintenance functions. Cleaning Options; one of the main functions of using OnyX mac is for its thorough cleaning purposes. Once you realize that your mac computer randomly freezes, takes a long time to boot up or might have interruption in its performance, it can be an indication that a cleanup is necessary. OnyX can do a thorough clean of your system so that junk files, and any other unwanted files and caches can be removed hence optimizing its performance. While these functions of OnyX can be a welcoming relief for optimizing its performance, it is best to have some kind of mac maintenance support to ensure that your mac performs at its best levels. How Does Cleanup Utility for Mac Works ? Will free mac cleaning software Harm my computer?